Here at Cox Events we specialise on all types of catering to the highest levels. We offer Location Catering using our fully customised mobile kitchens, we have the facilities to provide 1st class catering in almost any location possible. We provide the water and also the electrical connections so the most remote locations are not a problem to us. Our Crew Catering services now include snacks, breakfast, lunch, and Supper. We can cater for all types of dietary requirements. Our Outside Catering is superb, we can offer Lunch Buffets, BBQs, Banquets and even 5 course meals for families and catering services for up to one thousand people! Our highly experienced staff work very closely to create the very best menus for your next event. Finally in terms of Venue Management, our dedicated team are on hand to offer the full Facilities Management. 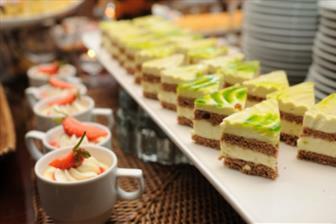 Our team has many years of experience in catering for events for small functions up to a large banquet of 1000. We currently manage operations across the East Midlands providing high quality catering and Bar services to event venues. Come and see what we have to offer you. We currently manage operations across the East Midlands including Leicester, Nottingham, Lincoln, Mansfield and Grantham.